What do public health, medicine, science, agriculture, and engineering have in common? Answer: All of these fields, and countless others, face a new class of problems that can be solved only with unique combinations of high performance computing, data analytics, complex algorithms, and skilled computational and data scientists. Bringing these combinations together is a goal of a just-announced long-term strategic partnership between Intel and the Alan Turing Institute in the United Kingdom. Via this partnership, researchers from Intel and the institute will work together with teams of research fellows and software engineers to drive fundamental advances in mathematical and computational sciences. A key mission for the partnership, as well as for the Alan Turing Institute itself, is to develop the algorithms that allow people to unlock insights buried in mountains of diverse data—such as weather forecasting models that consider the interactions of ocean temperatures, atmospheric conditions, solar flares, and more. While driving advances in fundamental research and the algorithms that empower our lives, the Intel-Alan Turing Institute partnership will train a new generation of data scientists through institute’s doctoral program. This forward-looking training effort will help ensure that students are equipped with the latest data science techniques, tools, and methodologies. The work done through the institute will also drive advances in the Intel Scalable System Framework for HPC. 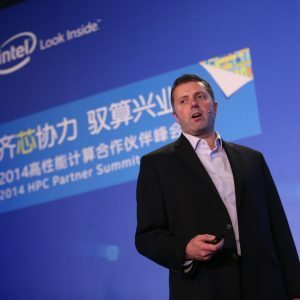 Intel will dedicate a hardware architecture team to the institute’s facilities so that new algorithms developed by the Alan Turing Institute will feed into the design of future generations of Intel microprocessors. All of this work builds on the legacy of Alan Turing, who was one of the first people to create an electronic computer. Turing is considered by many to be the founder of modern computer science. For a closer look at the Institute and its strategic focus, visit the online home of the Alan Turing Institute.